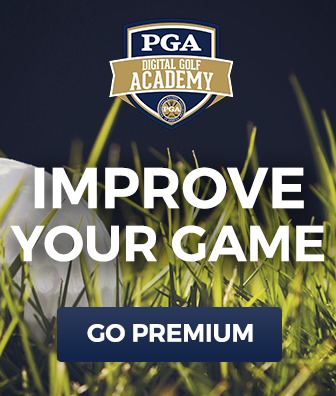 In this free lesson, PGA Professionals TJ Tomasi and Ali Jean Wells teach you a quick drill to smooth out your swing by perfecting your golf swing tempo. 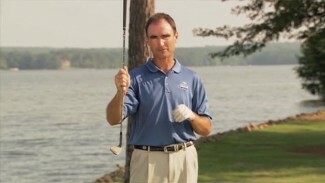 Perfect timing, and thus solid contact, is a matter of maintaining proper tempo from start to finish. You can’t become a consistent player until you find the ideal tempo, and tempo is largely determined by patience. To demonstrate this fact, TJ has Ali line up to the ball and pull her club to the top of her swing. 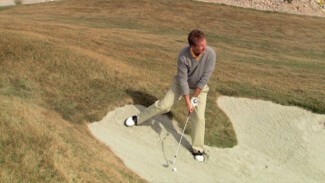 Ordinarily, most amateur golfers get to the end of their backswing and feel a rush of energy as they prepare to swoop down on the ball. But what if you were unsure whether ball would still be there when you tried to make contact? 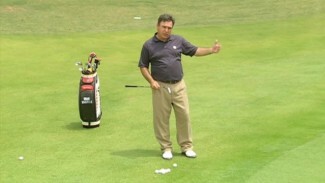 Would you swing harder or maintain proper golf swing tempo just in case the ball disappears? That’s what we’re going to find out. 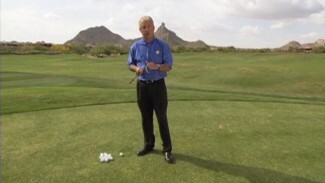 Utilize TJ’s expert golf swing tips, and give this drill a try next time you’re at the range. Ignore the hitting impulse!